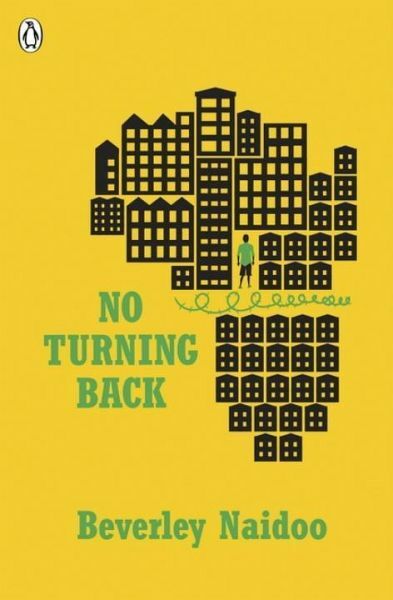 NO TURNING BACK by Carnegie-medal winning author Beverley Naidoo is the powerful and moving story of Sipho and his struggle to survive on the city streets of Johannesburg in the 1990s. It is one of The Originals from Penguin - iconic, outspoken, first. South African society is on the brink of a huge change as apartheid comes to an end, but will it make any difference to the tough life of Sipho and the other street kids? The Originals are the pioneers of fiction for young adults. From political awakening, war and unrequited love to addiction, teenage pregnancy and nuclear holocaust, The Originals confront big issues and articulate difficult truths. The collection includes: The Outsiders - S.E. Hinton, I Capture the Castle - Dodie Smith, Postcards from No Man's Land - Aidan Chambers, After the First Death - Robert Cormier, Dear Nobody - Berlie Doherty, The Endless Steppe - Esther Hautzig, Buddy - Nigel Hinton, Across the Barricades - Joan Lingard, The Twelfth Day of July - Joan Lingard, No Turning Back - Beverley Naidoo, Z for Zachariah - Richard C. O'Brien, The Wave - Morton Rhue, The Red Pony - John Steinbeck, The Pearl - John Steinbeck, Stone Cold - Robert Swindells.